As the Premier League and Championship take a break this weekend with many of their players off on international duty, Bath City has a home fixture against Welling United to look forward to. And to ensure local football fans of other teams have something to keep entertain them while their teams aren’t playing, we’re throwing out an invitation to come along to Twerton Park. With Bristol City subject to the international break shutdown and Bristol Rovers completing their away fixture earlier in the day, season ticket holders of both teams are invited to watch Bath City for just £8 this Saturday, reduced from £13. Plus, to make sure none of our sporting neighbours are left out, Bath Rugby season ticket holders who’re not making the trip to Leicester can also get in for the same bargain price. 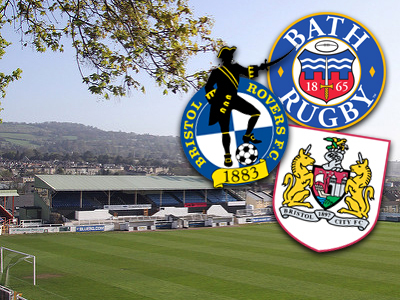 The promotion is part of the 1000BC drive to welcome new fans to Bath City and build towards an average crowd of 1,000 for home league matches. Bath City announced a new partnership with Bath Ales earlier today, so visitors will be able to indulge in a pint of Gem before the match or at half time. We’ll also have the Fire & Brew pizza van outside the ground beforehand to add to the occasion, along with our regular in-ground catering.